There have been some great limited-edition factory Corvettes, like the original Z06, the L88s, and the ZR1 and ZR2. The ZR1 was available as a coupe or convertible and could’ve been had in 1970, ’71, or ’72. The ZR2 included all of the special bits that a ZR1 had, except the engine. Instead of the LT1 in the ZR1, the ZR2 was equipped with a monstrous 7.0-liter (454) LS6 V8 rated at 425 horsepower. Chevy moved 188 examples of this engine in 1971 (the only year the ZR2 was available), but only 12 had the ZR2 package. And only two of those were convertibles, making this car an extremely rare example of the last of the original run of special edition Corvettes before all of the power was zapped from them. If you think about it, the ZR1 of the early 1990s was the next “go-fast” limited edition Corvette. The last ZR2 we featured brought nearly a half million dollars in 2013. And it was a coupe. 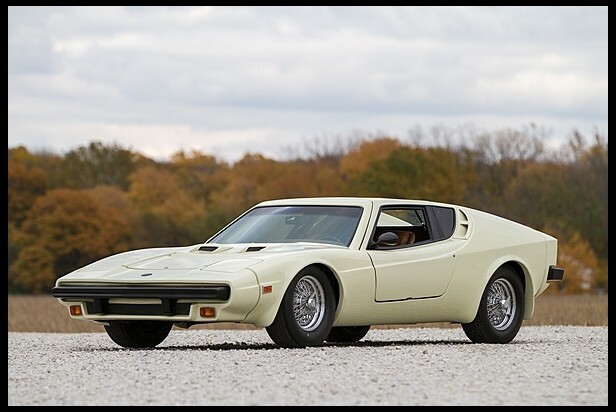 Click here for more info on this car and here for more from Mecum. Update: Not sold, high bid of $380,000. Chevrolet just announced their newest Corvette halo model: the C7 ZR1. It’s a 750 horsepower beast that traces its name back to this car. 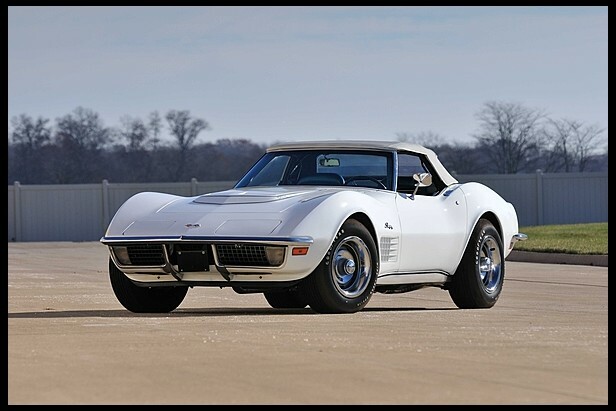 The original ZR1 was a special option introduced on the Corvette in 1970. It was a $1,200 special engine option that also brought a heavy duty transmission, brakes, and suspension. It also blacked out convenience options such as power windows and air conditioning, making it a task-focused performance car. Offered as a coupe or convertible, the ZR1 was available from 1970 through 1972 and even spawned a ZR2 variant. The engine is a 370 horsepower, 5.7-liter V-8, which might sound kind of wimpy compared to the 430 horsepower from some of the mid-1960s Stingrays, but you have to remember that emissions standards were beginning to squeeze the juice out of these motors. 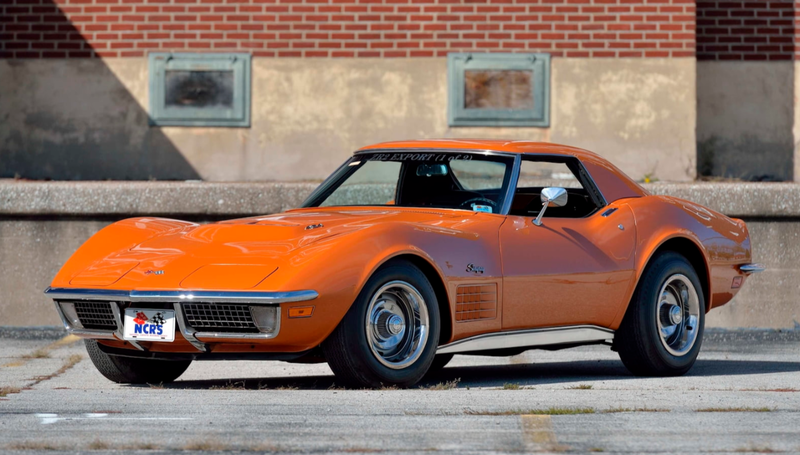 Only 25 ZR1 coupes were built in 1970 out of a total three year model run of 53 cars. These don’t command the same money as a C3 L88, but they’re still some of the priciest Corvettes from this year. This one is all-original and shows just 16,000 miles. Click here for more info and here for more from this sale. Update: Not sold, high bid of $130,000. 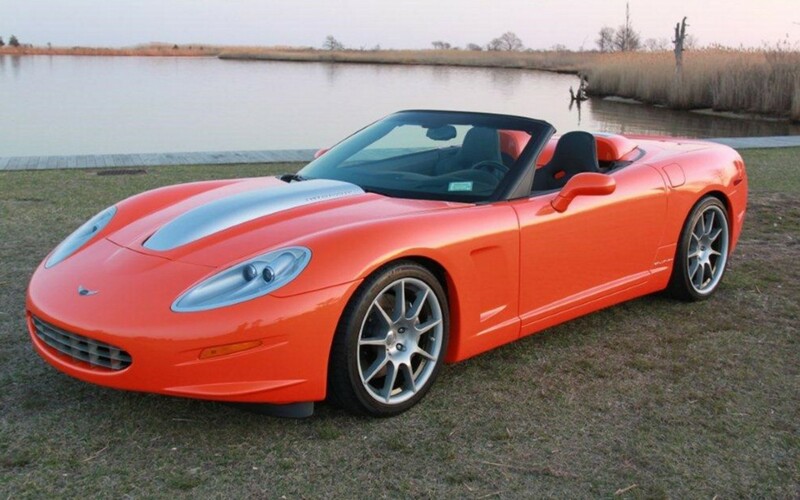 Callaway Cars Inc. of Connecticut has been modifying Corvettes since the 1970s. Most cars carrying the Callaway name are Corvettes or (mostly) other GM products that have been extensively modded to put out as much tire smoke-inducing power as possible. But Callaway built a few cars that are more than just engine modifications. 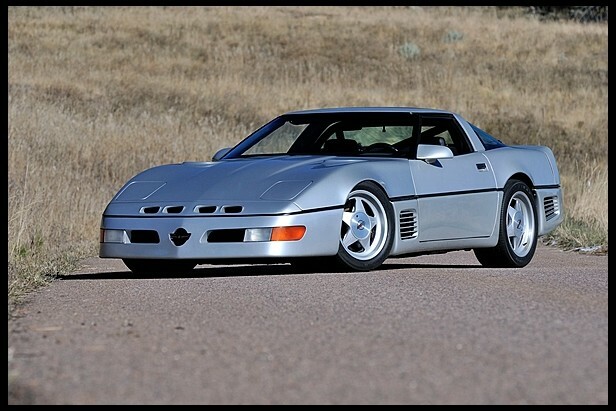 But only a few: namely the Callaway C7, C12, and this, the C16. This C16 was built in 2007 and is car #3, which was the first cabriolet built (there were also coupes and windshield-less Speedster models offered). The C16 was built in limited numbers between 2005 and 2013. The C16 is based on the C6 Corvette, and this car is technically titled as a 2005 Chevrolet Corvette. The engine is a supercharged 6.0-liter V-8 making 616 horsepower. It’s a nice car with a cool, Corvette-like appearance even if most people won’t know what it really is. They rarely come up for sale and you can buy this one later this month in Scottsdale. Click here for more info and here for more from this sale. This car has a lot going for it. First of all, it’s a ’63 Corvette Coupe, meaning it carries the signature “split window” rear glass – a one-year-only feature. Then we have the fact that it is a Z06. The modern Z06 was introduced in 2001 and is the Track Attack variant of the ‘Vette. But this was the first model to carry that letter and number combo. In 1962, Zora Arkus-Duntov wanted to build a performance Corvette for sale after the factory ban on racing went into effect. So they created “RPO Z06” – a high-performance package that could be ordered. It included beefier brakes and suspension and could only be had with the 5.4-liter V-8 making 360 horsepower. It wasn’t cheap, adding over 40% of the base price onto the cost of the car. Only 199 of them were built in 1963. This one features a nut and bolt restoration and is an award winner. It’s about a $250,000 car. Click here for more info and here for more from this sale. The Corvette is one of America’s signature automobiles – it’s the signature American sports car of all time. And America’s most-popular form of motorsport is NASCAR… so it’s only natural that there exists a Corvette with NASCAR history. Ed Cole sent a few Corvettes south to be turned into race cars in 1955/1956. Two of them were destined for NASCAR (this one and a 1955 model). The ’53 ‘Vette seen here was given a high-output 1956 engine: a 4.3-liter V-8 (remember, the Corvette didn’t get a V-8 until 1955), making a minimum of 240 horsepower. This car is said to have ran on the beaches of Daytona and at tracks such as Martinsville, Raleigh and Bowman Gray Stadium (although I have been unable to verify this). 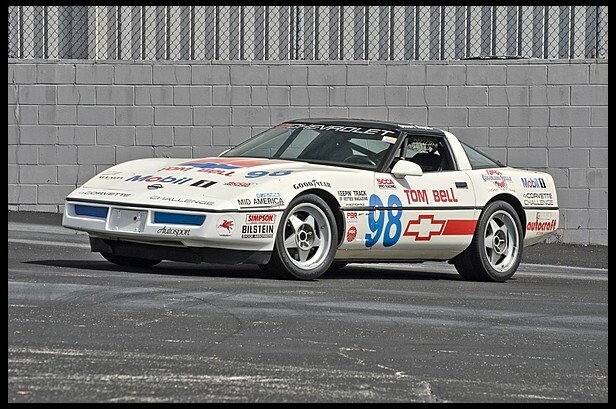 This is a super-rare piece of racing and Corvette history and should command a large sum. I actually saw this car in person this year and got to see it drive (video here, it sounds great!). I asked the representative of ProTeam Corvette who was guarding the car if they were selling anything interesting from their reserve collection this year and he failed to mention that this very car was going to cross the bliock. Oh well, I can buy it now if I so choose. 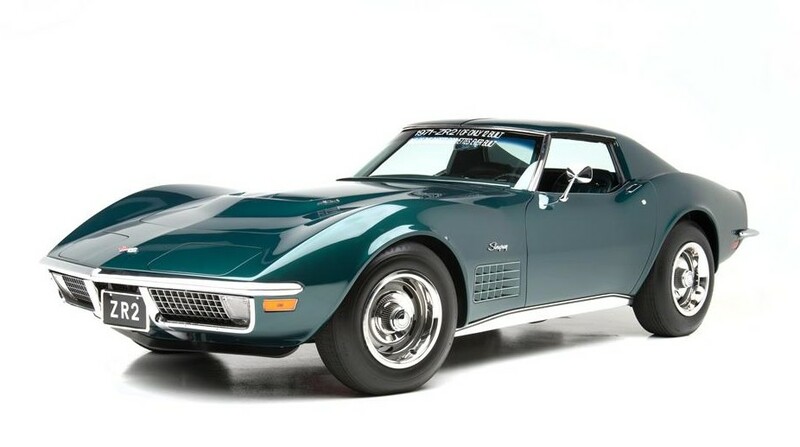 Click here for more info and here for more from Barrett-Jackson. Update: Not sold, high bid of $2,000,000. Mecum’s Kissimmee sale is so huge that it gets it’s own recap. That and because it is sandwiched between the Arizona and Retromobile sales. 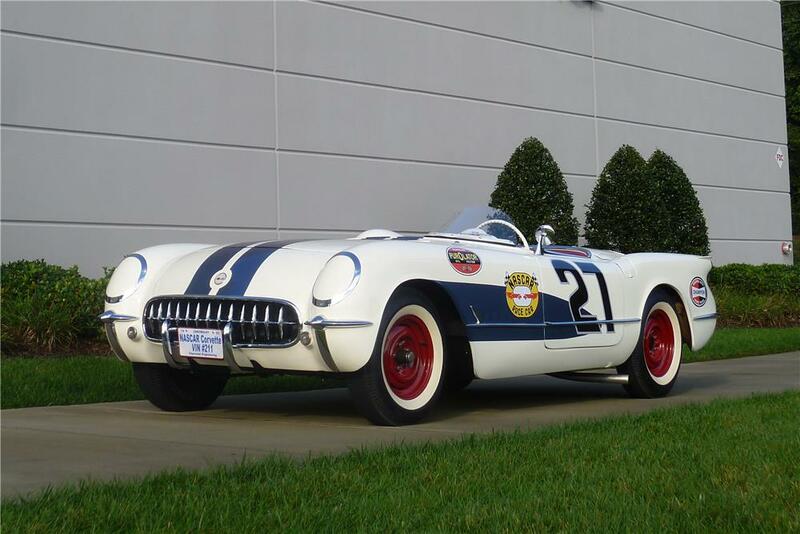 The top sale was the “Real McCoy” Corvette for $2,300,000. Our featured Duesenberg from this sale failed to sell (as did a previously featured Model J). 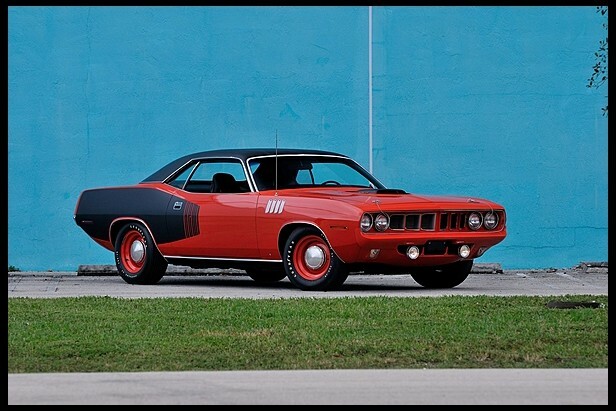 The second top-seller was this unrestored all-original 1971 Plymouth Hemi Cuda for $560,000. Corvettes accounted for five of the six biggest sales (the Cuda above being the odd man out). 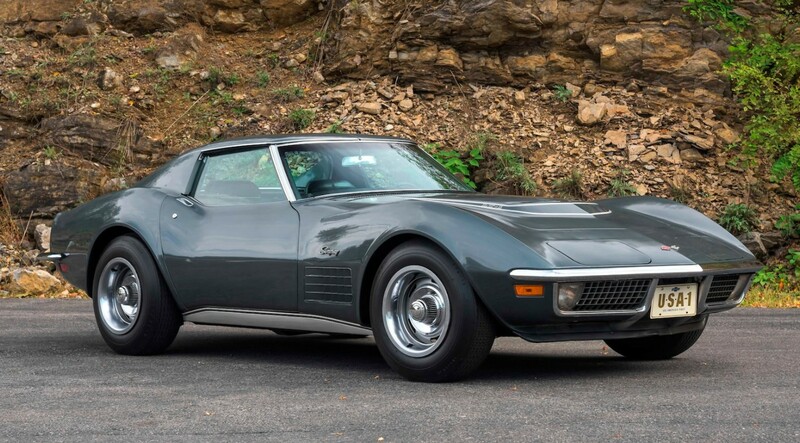 This 1968 Corvette L88 Coupe was the third top seller at $530,000. Some feature Corvettes that did not sell were the Sledgehammer Corvette, the Corvette Challenge race car, and the Corvette-related Callaway C7R. The ZR1 Convertible sold for $130,000. And now on to the interesting cars. This 1976 Trivette MC certainly qualifies as interesting. It sold for $9,000. The Lincoln Quicksilver sold for $27,000. 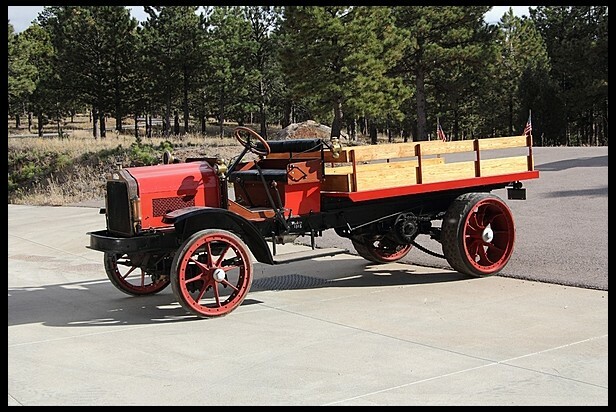 This 1915 White 5-Ton Stake Bed Truck sold for $27,000. And our featured old truck, the FWD Model B, sold for $23,000. This 1963 Aquila is a Volkswagen-based kit car. It looks sportier than the Beetle it replaced. It brought $9,500. 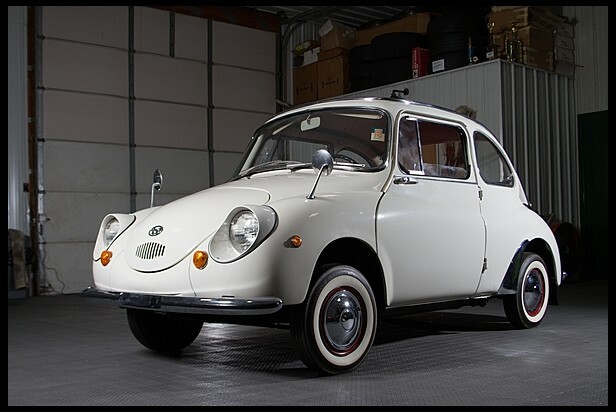 There were a lot of cool cars in this sale, but this 1969 Subaru 360 is the last one I’ll show you. It sold for $11,000. Check out the rest of the results here. We featured an ultra-rare ZR2 Corvette a few weeks ago and here we have its cousin, the ZR1. The ZR1 name is common today as two more ZR1 models have been produced since (in the early 90s and late 2000s). The original ZR1 is the most valuable as very few were made. The ZR1 option package was available for 1970, 1971, and 1972 only. It was essentially a small block version of the L88. The engine is a 5.7-liter V-8 rated at 370 horsepower (the most powerful small block Corvette you could buy in those years). It also came with heavy duty brakes, transmission, and suspension. Because the car was sold as “race ready,” you could not get air conditioning, power windows, power steering or a radio (among other things). Restored in 2011, this ZR1 is one of those very rare muscle cars that bring so much money. 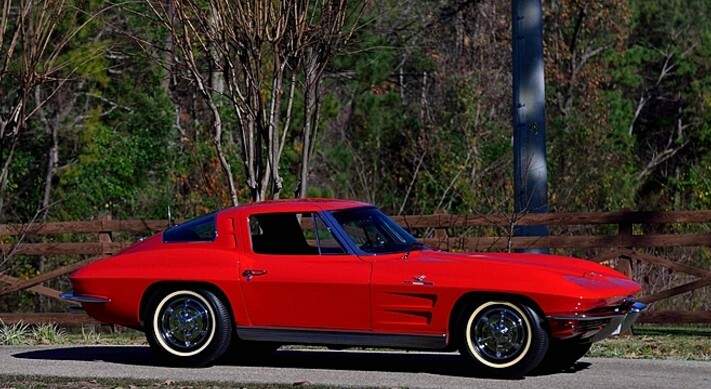 Only 53 ZR1s were built in total, 25 of them in 1970. And only a mere handful were drop-tops. This is an easy $100,000-$125,000 car. 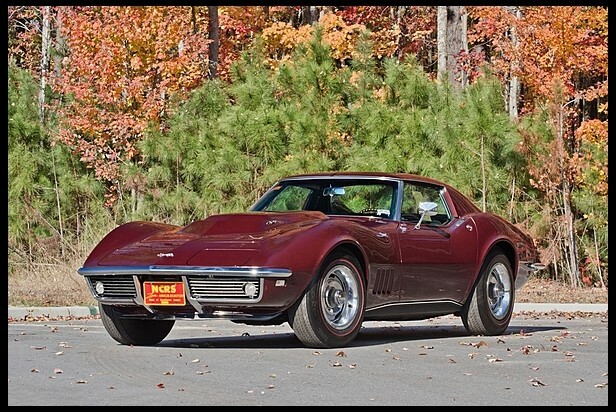 Click here for more info and here for the rest of Mecum’s Kissimmee lineup. Super cars aren’t always high-end exotics. In the late 1980s, super cars as we know them began springing up rather rapidly. The Porsche 959, the Ferrari F40 – and the Lamborghini Diablo and Jaguar XJ220 (just to name a few) were right around the corner. What do all of those cars have in common? They are slower than this Corvette. Reeves Callaway drove a Twin Turbo Corvette to 231 mph. He wanted to take it to 250. So he hired Paul Deutschman to design a stable, aerodynamic body kit for the C4 Corvette. Then they inserted a handbuilt Callaway 5.7-liter V-8 and strapped two turbochargers on for a total of 898 horsepower. Legendary Corvetter John Lingenfelter drove the car to a record 254 mph. The car was entirely street legal and still had power windows, locks and A/C (but it did have a roll cage added). It remained the fastest street-legal car until 1999. Callaway wanted a world-beater – so he built it. 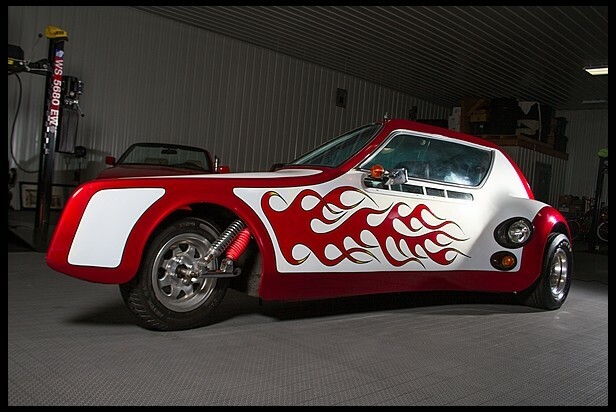 This remains the only Sledgehammer Corvette ever built and it is a very famous car. It was the fastest Corvette built and it was constructed in 1988. This should bring an interesting amount of money. You can read more here and check out more from Mecum here. Update: Not Sold, High bid of $600,000. The Corvette Challenge was a one-make racing series that lasted two seasons – 1988 and 1989. The SCCA was the sanctioning body and some major racing stars turned out to compete, including Boris Said, Tommy Kendall, Andy Pilgrim, and Jimmy Vasser. The cars cost $33,043 with an additional $15,000 payable to Protofab Engineering for race prepping. The cars were street-legal and all spec’d the same (Z51 performance handling package, roll cage, fire suppression system, etc.). The engine was a stock 250 horsepower 5.7-liter V-8. In total, 56 Challenge cars were built for 1988 and only 46 of them ever started a race. This one was the series champion, having been driven by Stuart Hayner. It won a single race (Mosport) and had a total of four podium finishes. Consistency wins championships. The car has covered what Mecum is calling “3,892 Sunday Driven” miles – aka race distance. These are rare cars and most Corvette people know what they are when they see them. They’re interesting and come from a time when Corvette motorsport presence was kind of thin. It would be an interesting addition to any collection. Click here for more info and here for more from Mecum. Update: Did not sell, high bid of $8,500.